Houston TX hot sauce shop has grand opening this weekend, Oct 5th 2013. 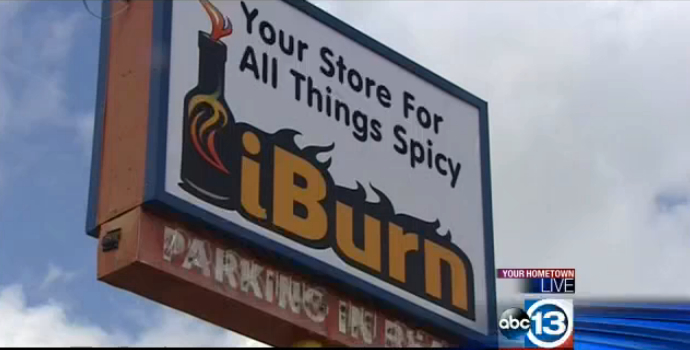 Complete with an “Adults Only” back room, the iBurn Store has everything Houstonians need for their hot sauce needs. If you are lucky enough to live in the Houston TX area, you now have a hot sauce superstore at your disposal! If not, you can shop online at the link below. Congrats to James Wreck and Amy Beck on their new storefront. You can shop online at iBurn.com.